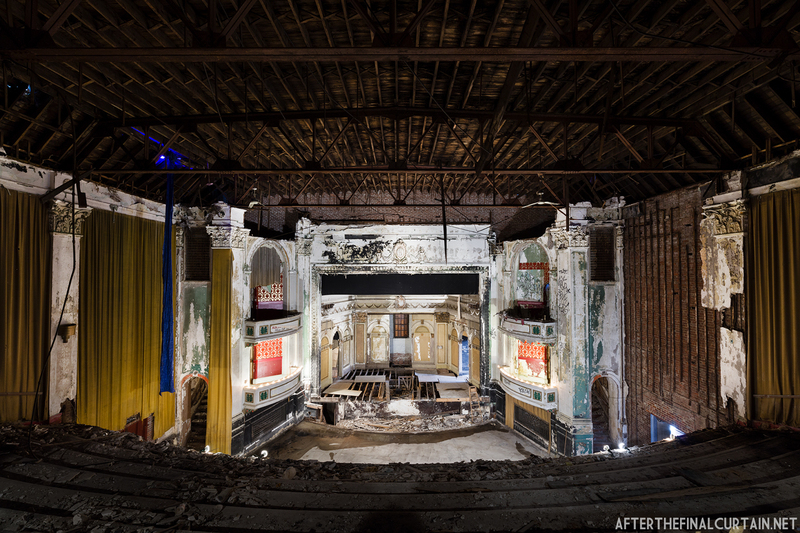 I’ve been practicing with my newly acquired drone, and thought that a theater walkthrough might make for an interesting video. 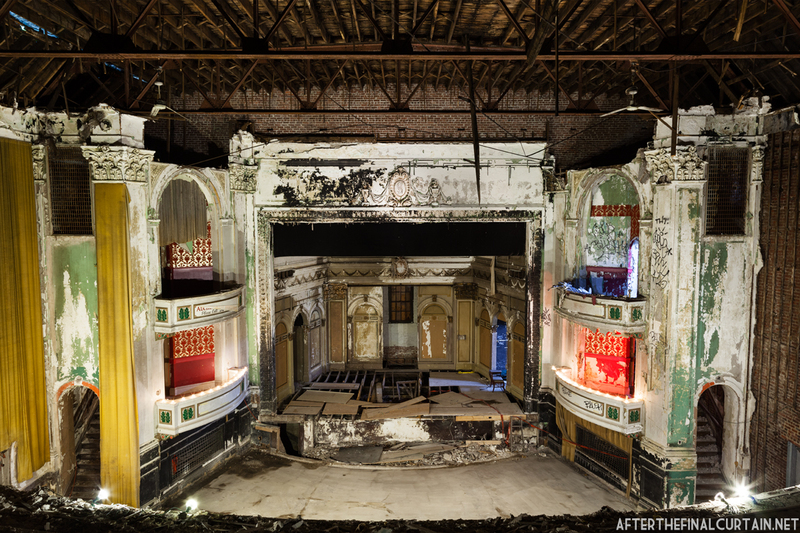 So a few days ago I revisited the Everett Square Theatre in Boston, MA to do just that. I think that I’ll be making many more of these videos going forward. 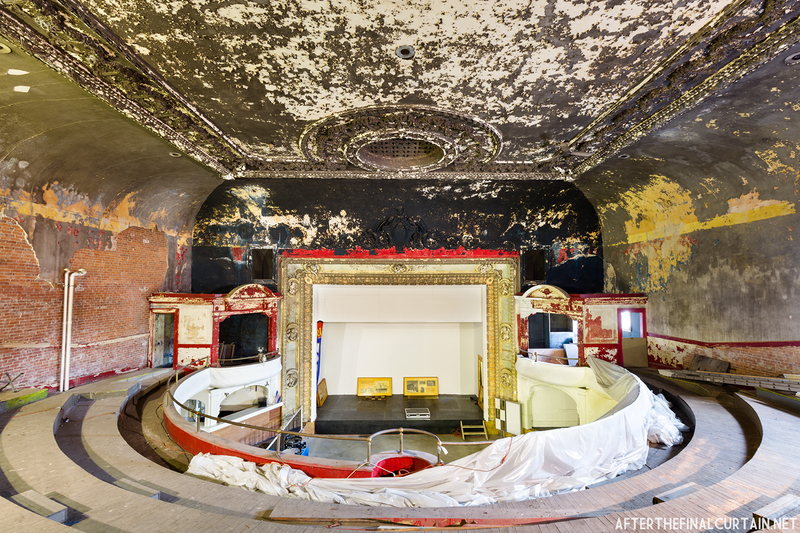 The State Theatre in Stoughton, Massachusetts opened on December 8, 1927. It was built on the site of Atwood’s Market, a local shopping center that was destroyed by a fire earlier that year. 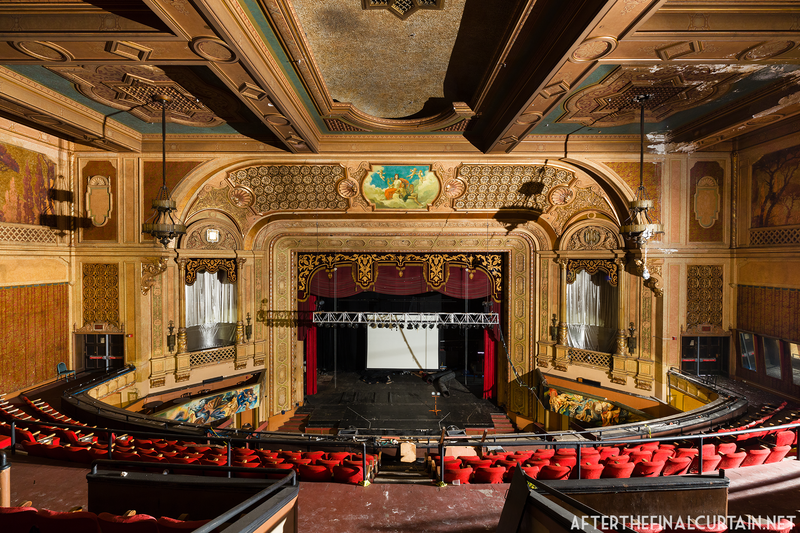 The Interstate Theatre Corporation purchased the lot and hired the Boston architecture firm of Funk and Wilcox, who were mostly known for designing apartment buildings, to design the theater. 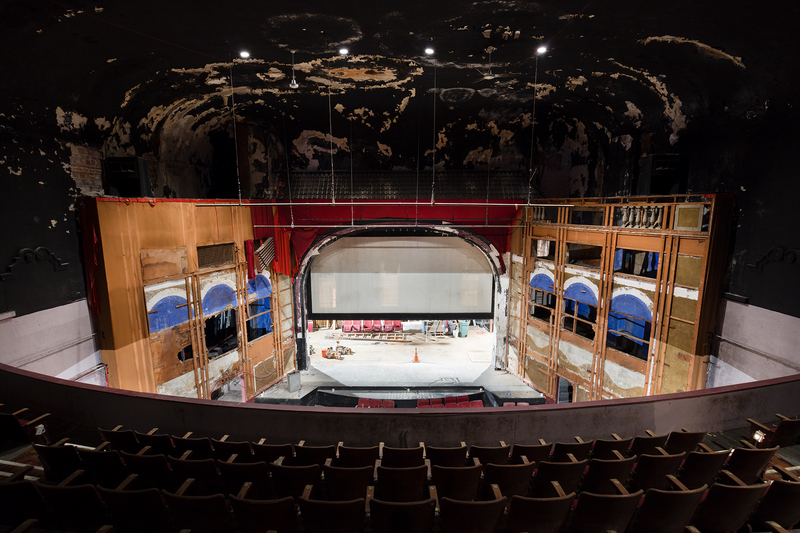 John P. Curley, a Boston contractor, constructed the 1,100 seat atmospheric theater for $100,000, or $1.4 million when adjusted for inflation. 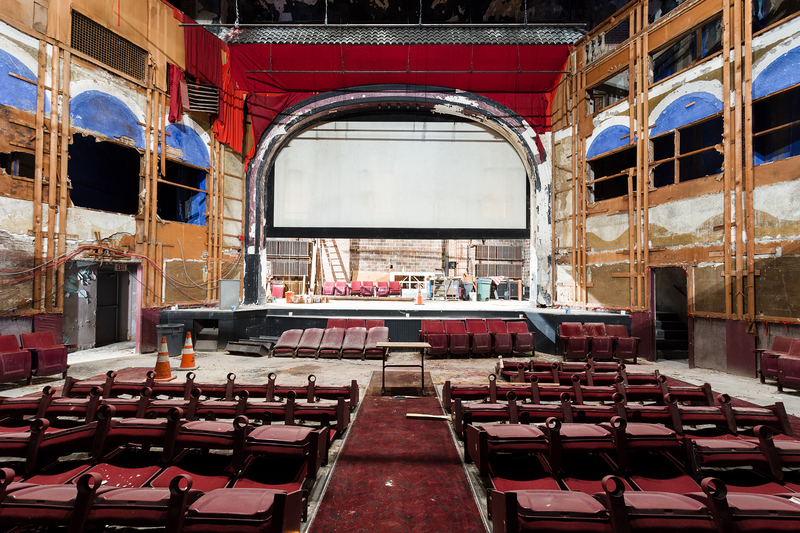 Funk and Wilcox also designed the Franklin Park Theatre in Dorchester, MA. The opening day kicked off with a performance by Ed Andrews and his Nautical Garden Orchestra, followed by “Revue Les Arts,” a vaudeville comedy review. The main attraction was a showing of the silent film “Smile, Brother, Smile,” starring Jack Mulhall, Dorothy Mackaill and E.J. Ratcliffe. A newsreel and two other vaudeville acts capped off the festivities. John Kenne, the State’s organist, played the Estey Pipe Organ throughout the day. 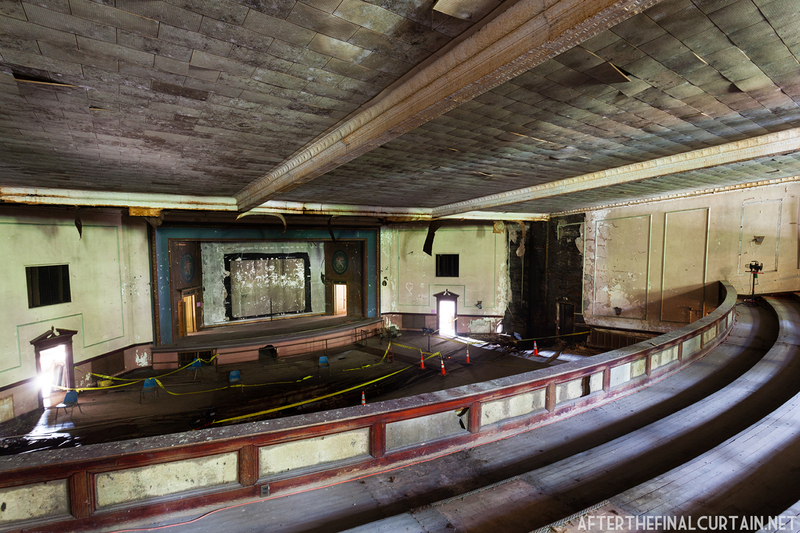 The auditorium ceiling was painted a flat black during the remodel in 1970. 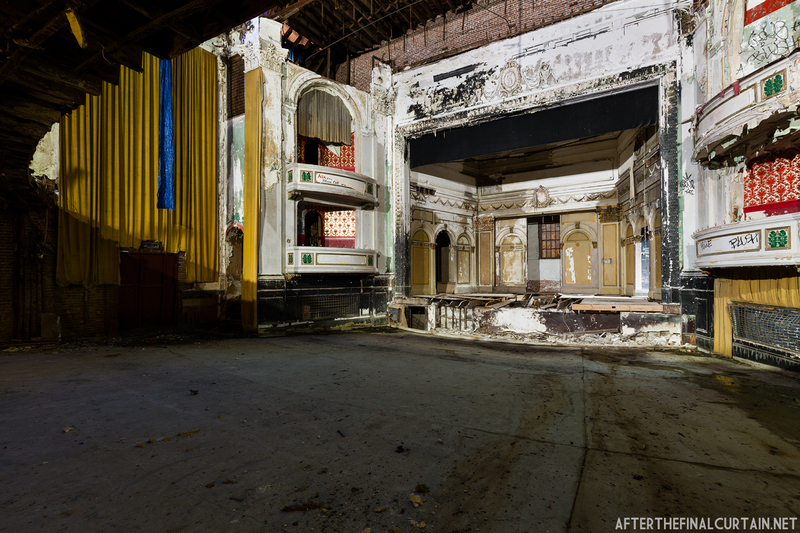 By 1940, the theater was renamed the Interstate State Theatre, and had been converted into a talking motion picture house. 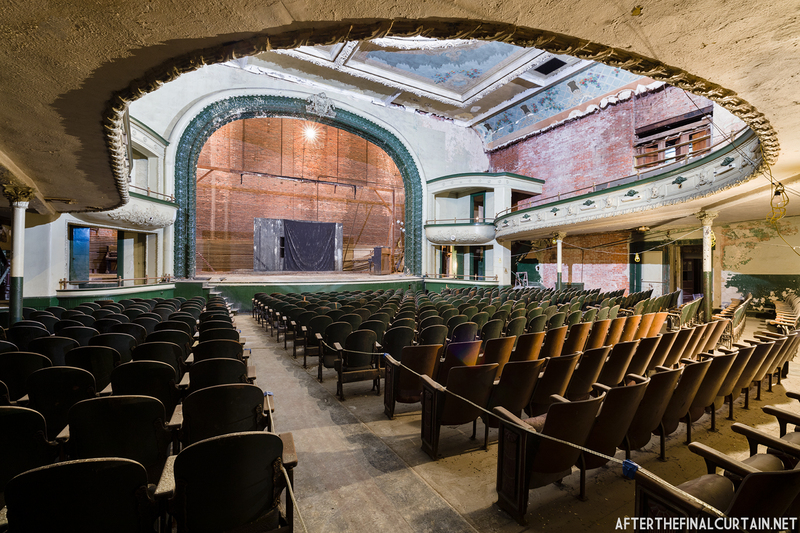 The nearby Stoughton High School held class plays and graduations at the State. 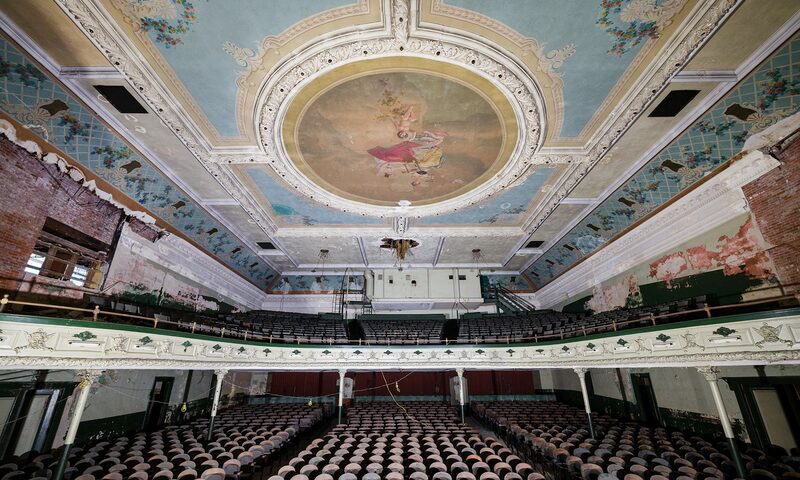 The theater was modernized in 1970 — the box seats and some of the atmospheric ornamentation in the auditorium were removed and covered with red drapes, and modern seats were installed on the orchestra level. 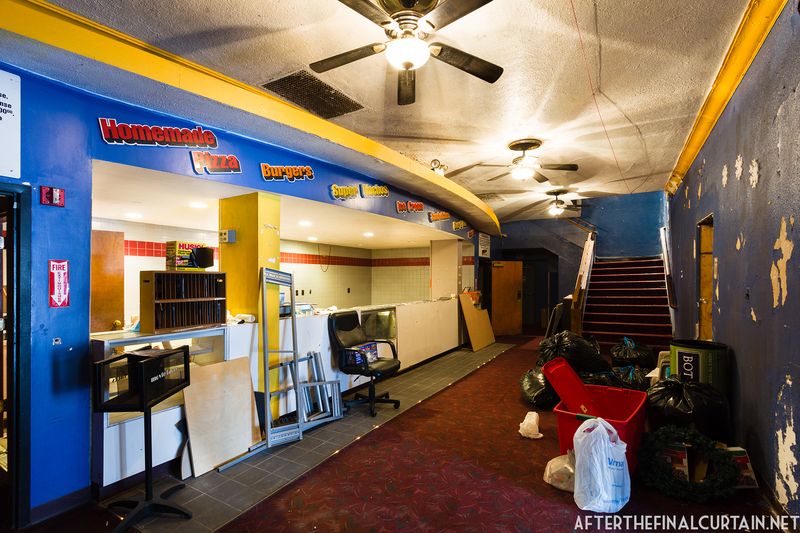 The theater then became the Stoughton Cinema. 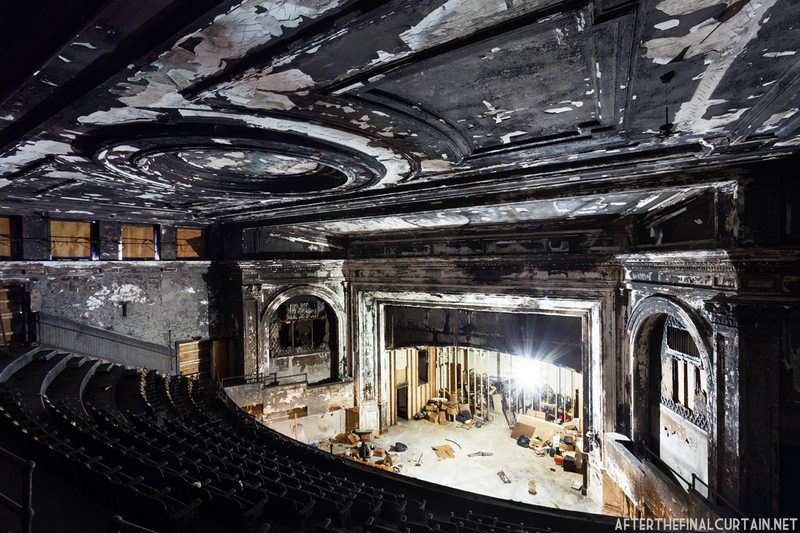 The lobby of the State Theatre. 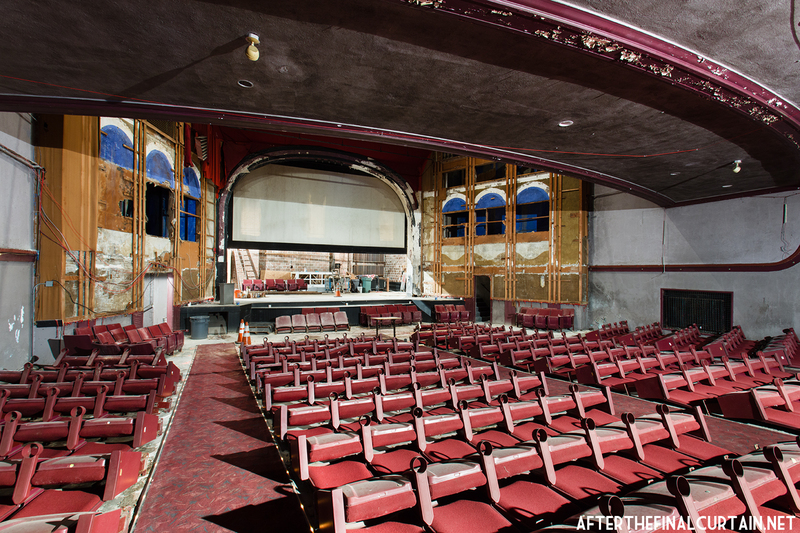 By the 1990s the theater had been renamed once again and was known as the Stoughton Cinema Pub, a second run movie house that served beer. 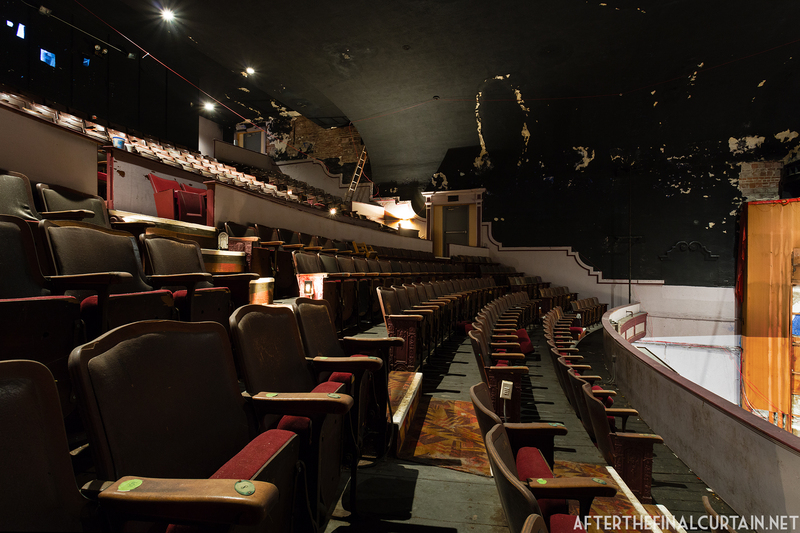 The theater closed just six days short of its 80th birthday on December 2, 2007. The final production was a live performance of “A Christmas Carol“ by local theater troupe The Little Theatre of Stoughton, who had been performing at the theater since 1999. 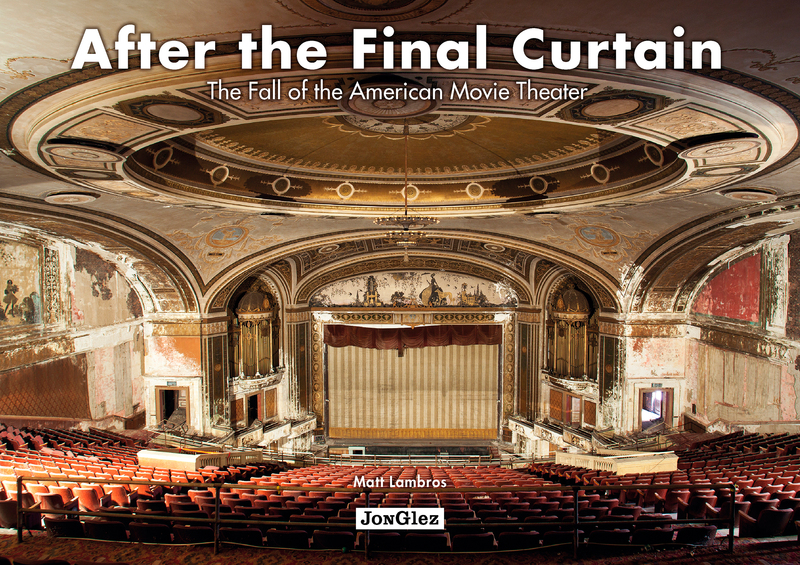 According to Mike Harmen, the manager at the time of the theater’s closing, it cost close to $3,000 a month to heat the auditorium in the winter, and it was the cost of utilities that caused the theater to close. 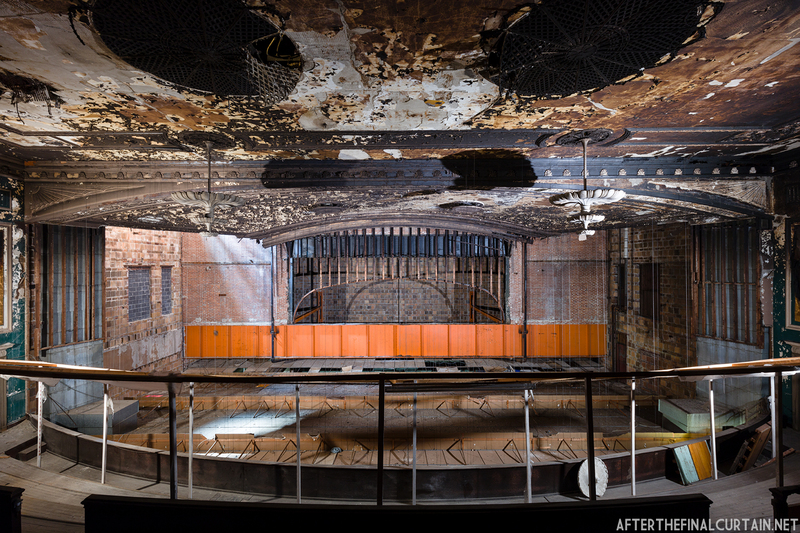 The Friends of the State Theatre was formed shortly after the theater closed, intending to restore and reopen the theater as a performing arts center. To that end, they have signed a 20-year lease and were awarded non-profit status in February 2013. They have received grants from the town of Stoughton and the state of Massachusetts, and around $700,000 in donations from private donors and businesses. 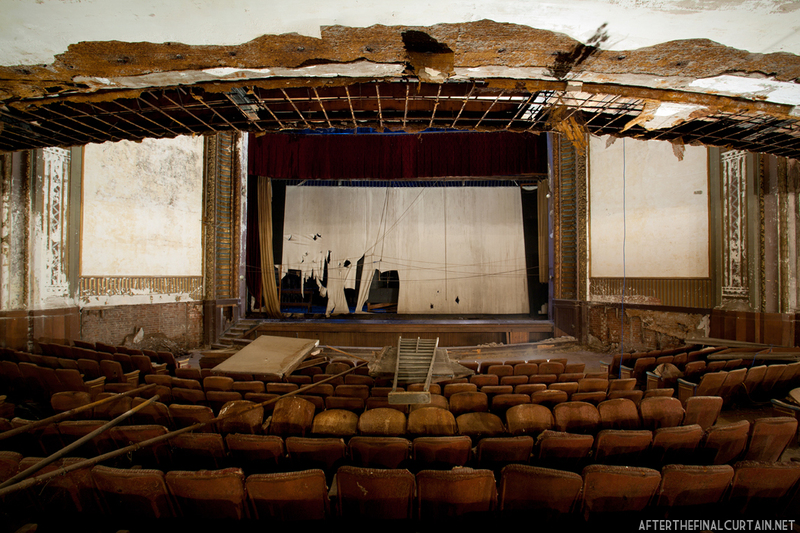 The Friends aim to raise between $2.5 and $3 million to restore the theater. 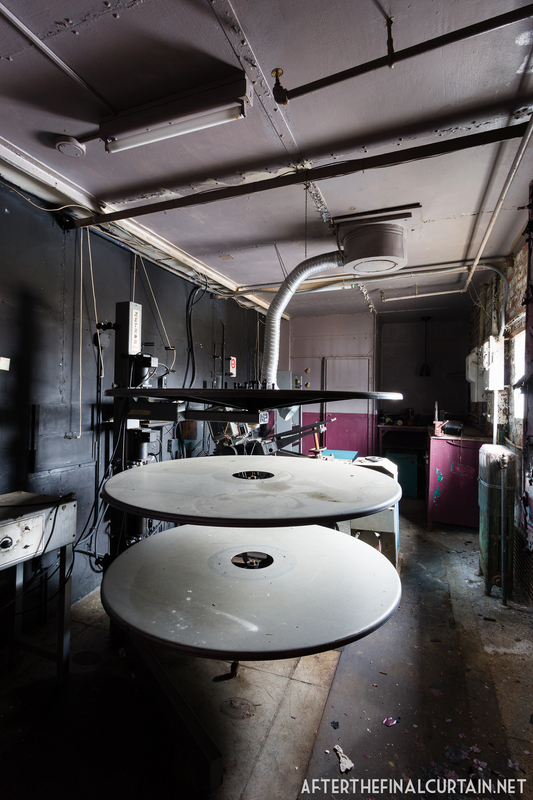 Some of the projection equipment remains in the projector room. 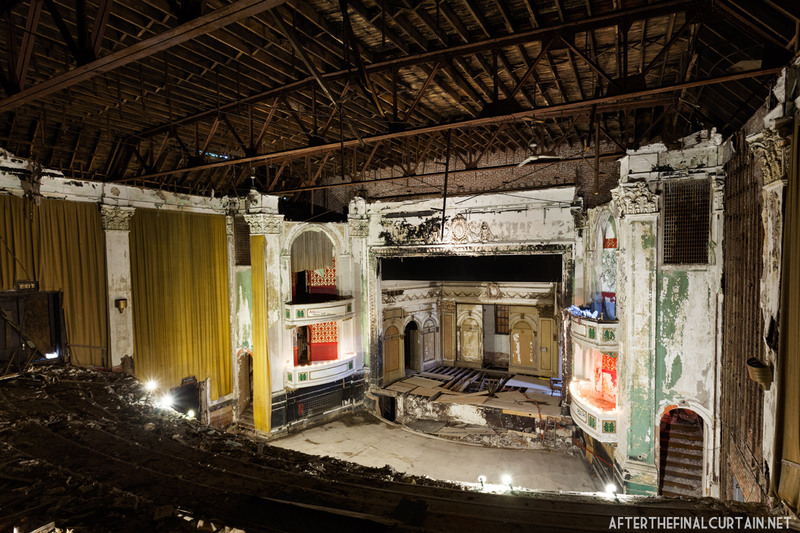 The Everett Square Theatre opened in 1915 in the Hyde Park neighborhood of Boston, Massachusetts. 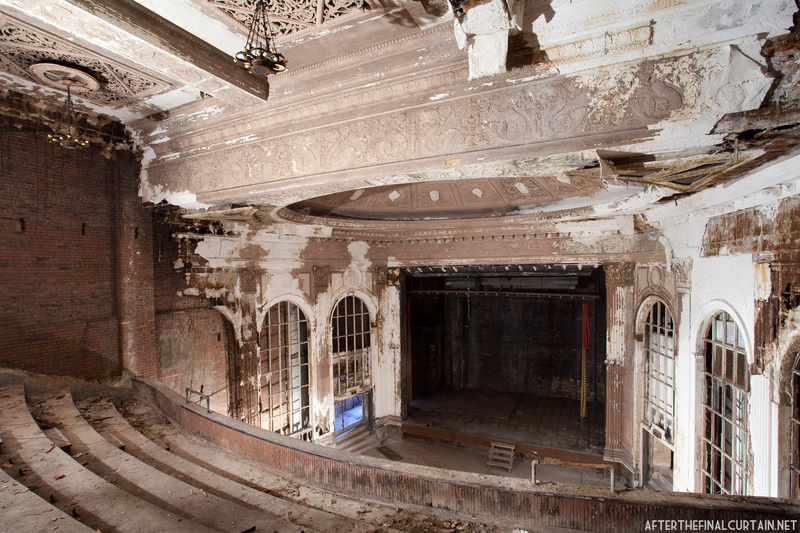 It was designed by Boston architect Harry M. Ramsay for the Littlefield Trust, the original owner of the theater. 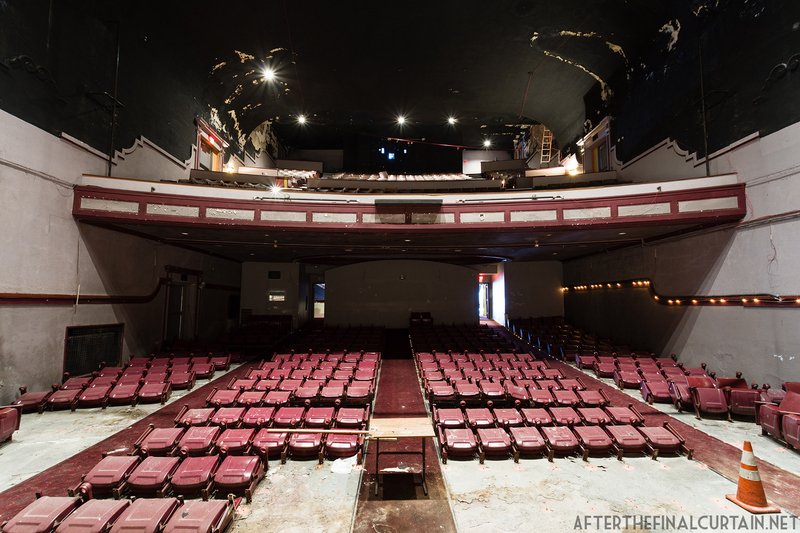 The 798 seat theater cost $65,000 ($1.5 million in 2014 when adjusted for inflation) to build, and was part of the M&P Theatre circuit.